Happy, healthy puppies need the right nutrition to help them develop and grow. 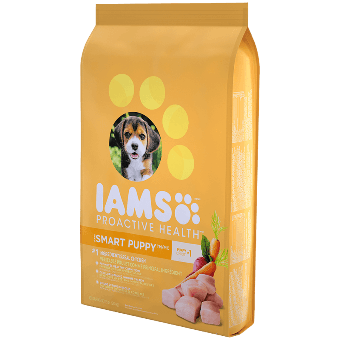 Our puppy formulas are specially-designed to nurture smart puppy behaviour that helps makes training easier - and they're made with real chicken as the #1 ingredient. They're enhanced with Omega-3 DHA to support optimal brain development and enriched with antioxidents to help develop a strong immune system. 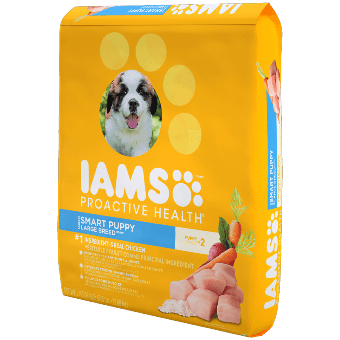 IAMS® puppy and large breed puppy food are just two of the many tailored formulas available within the PROACTIVE HEALTH® brand.